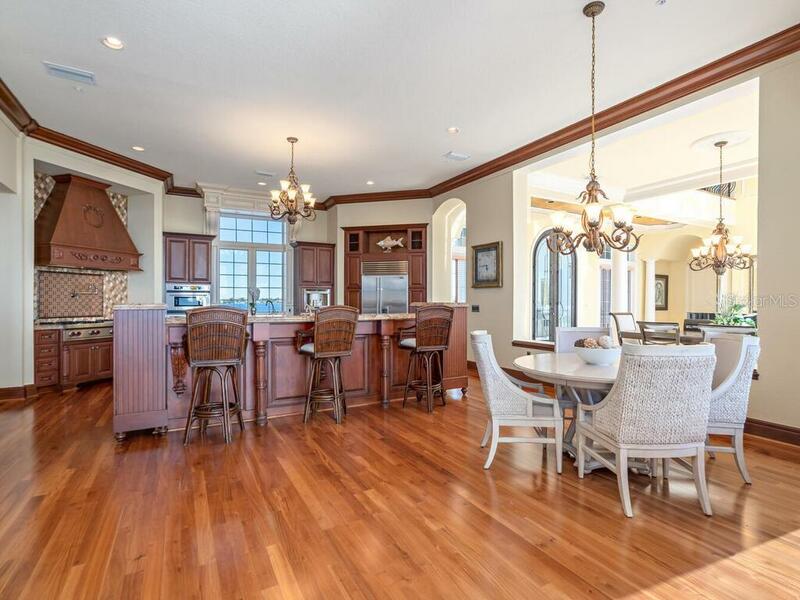 Ask a question about 1356 Point Crisp Rd, or schedule a tour. 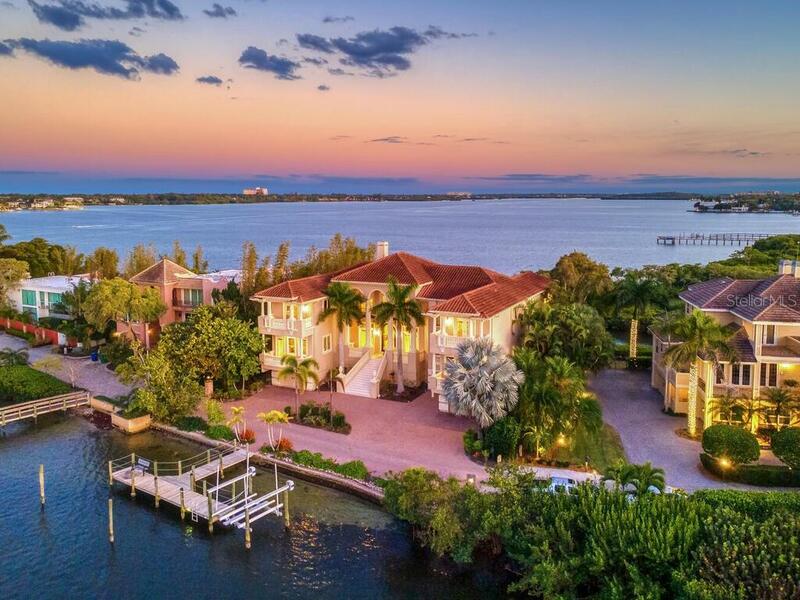 Arrive by boat or by car! 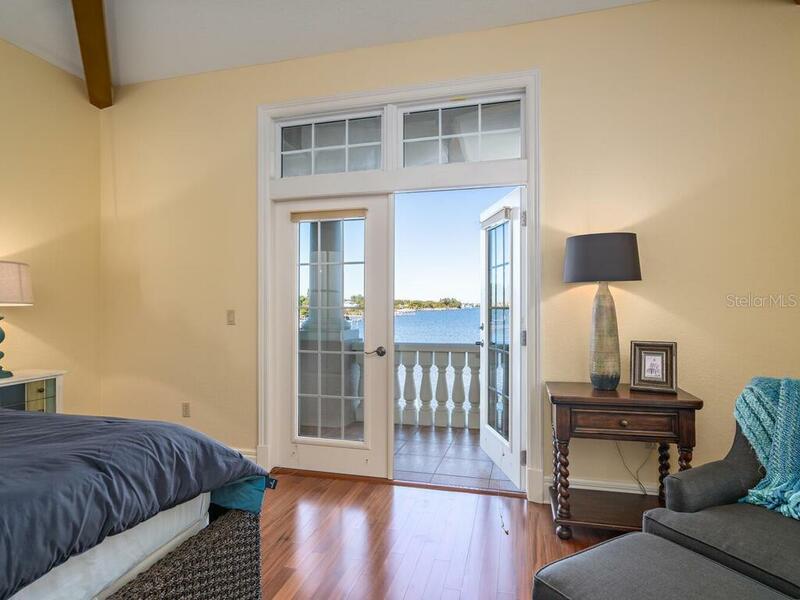 Rarely available with front and back bay views. 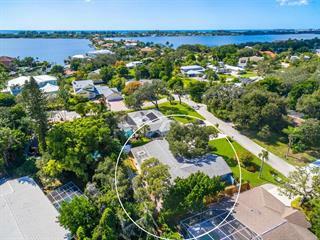 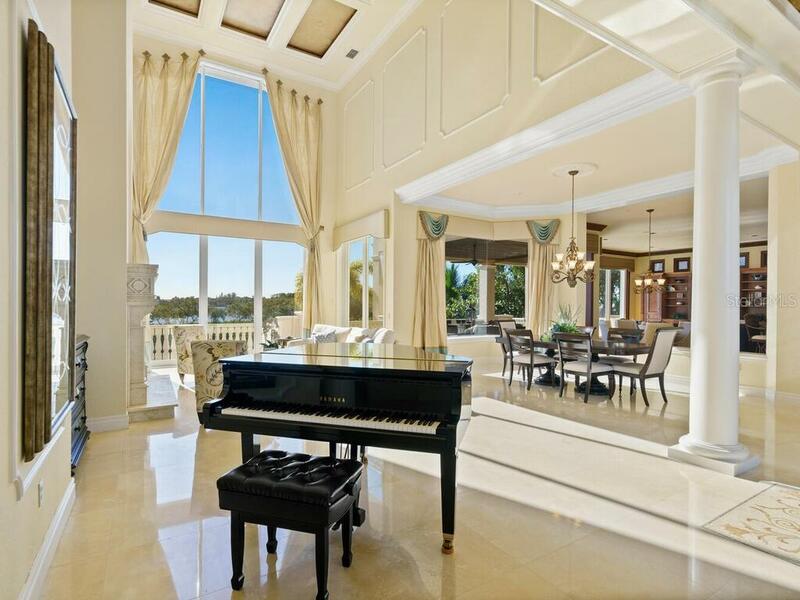 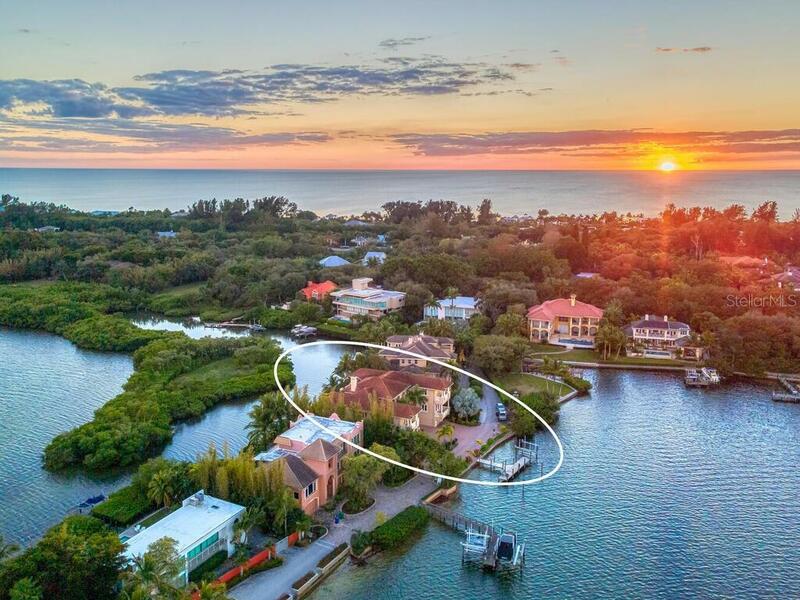 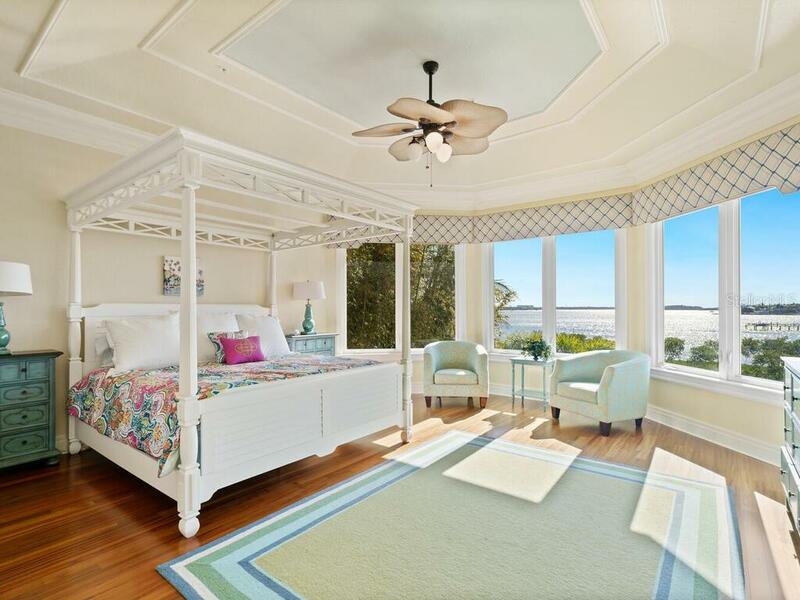 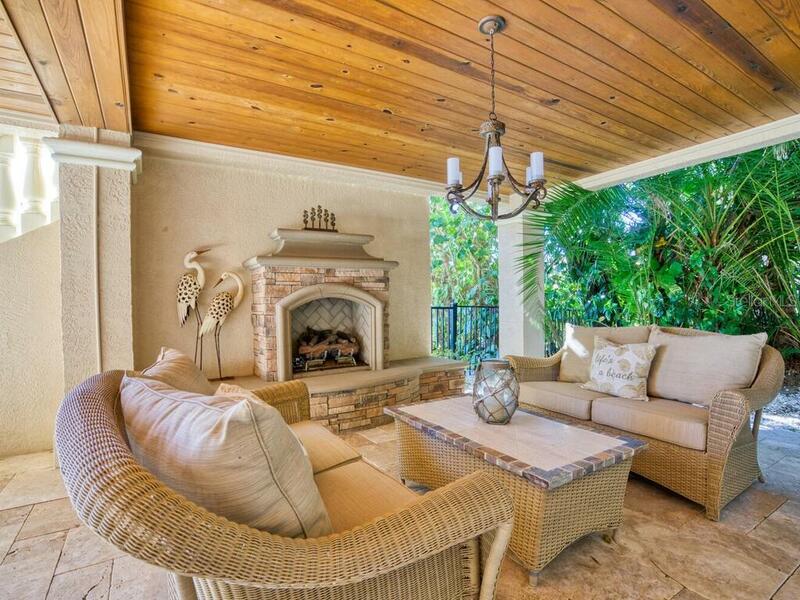 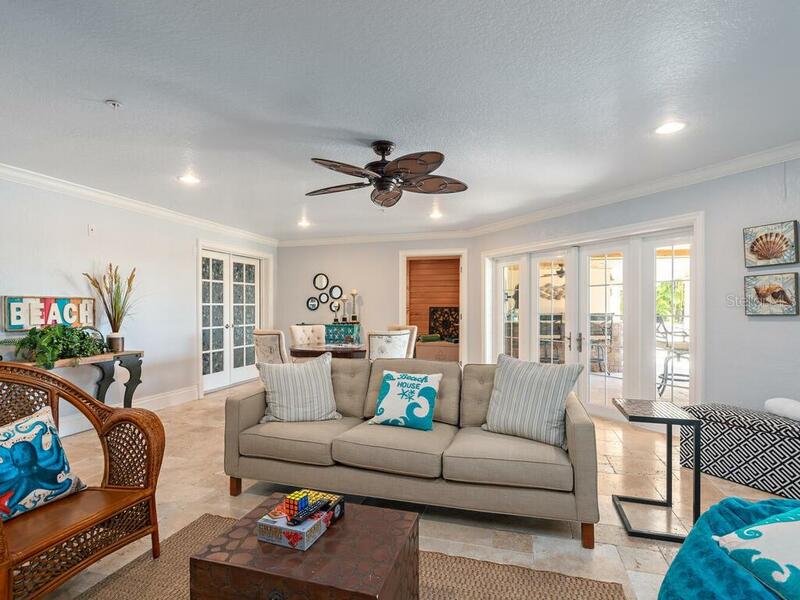 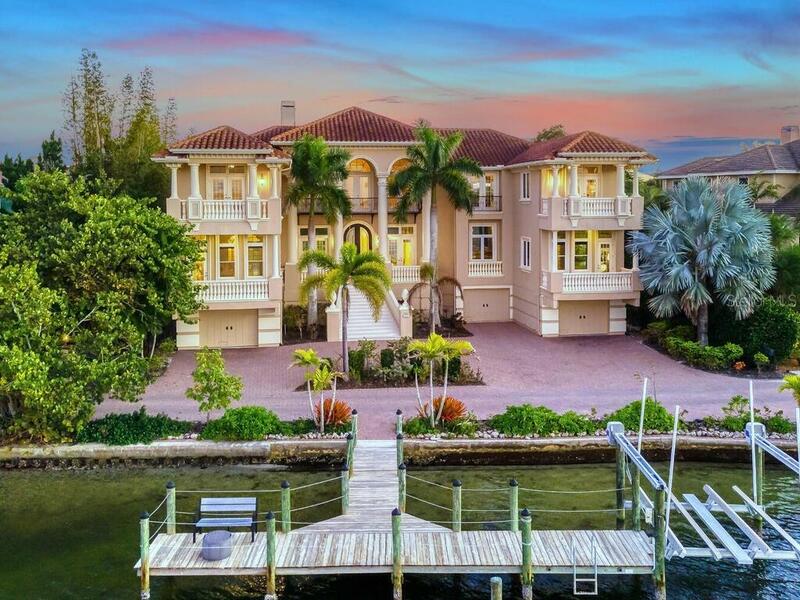 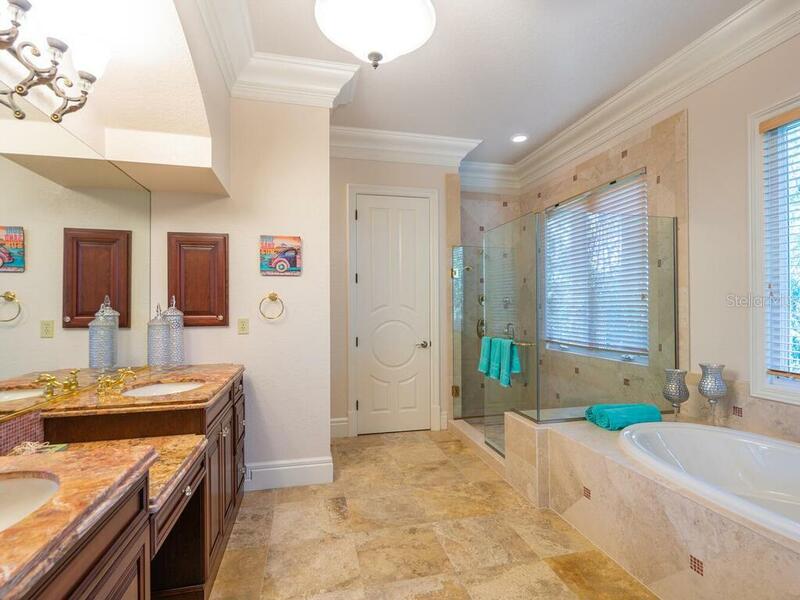 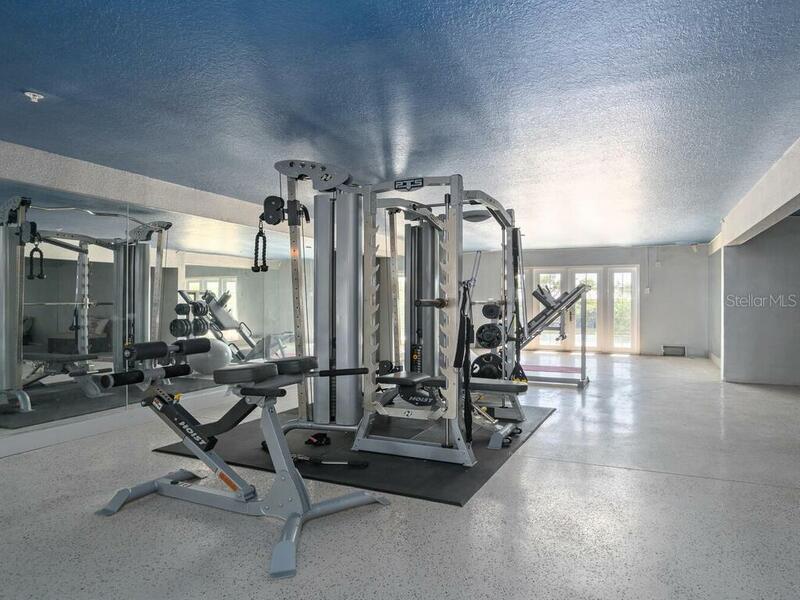 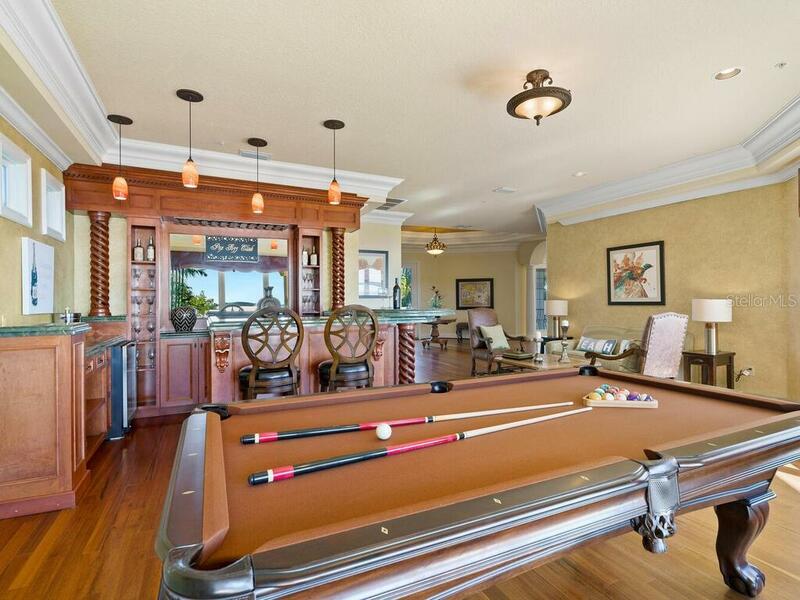 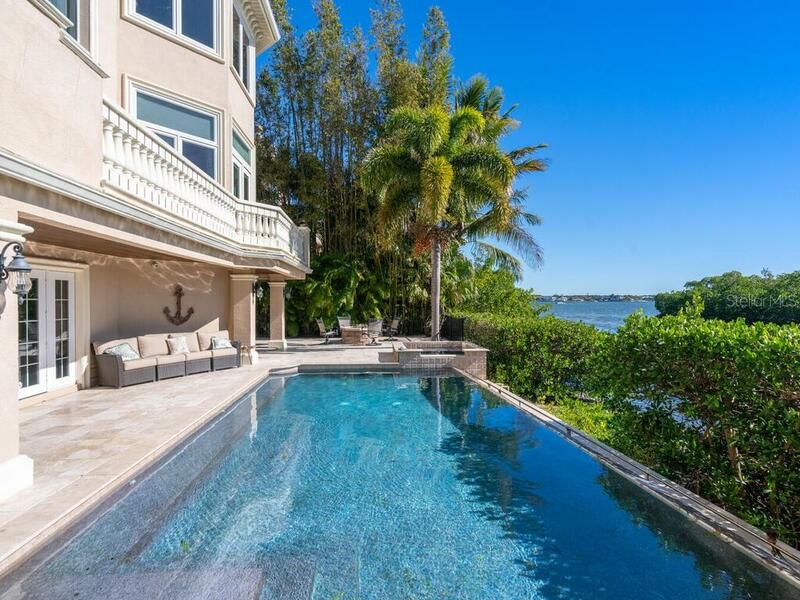 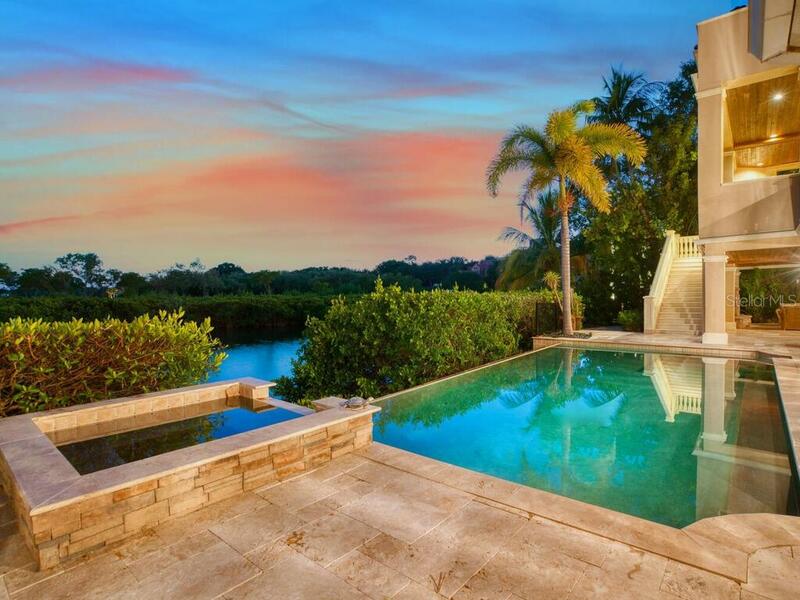 This north-south facing grand villa is perfectly set on the exclusive Point Crisp peninsula on world-famous Siesta Key. 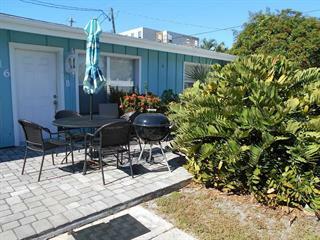 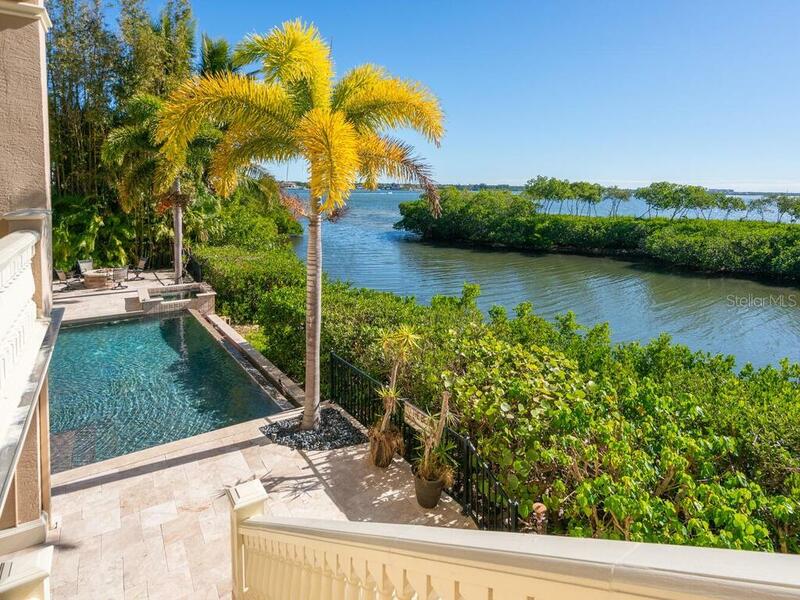 With its own private beach, boat dock and... more. 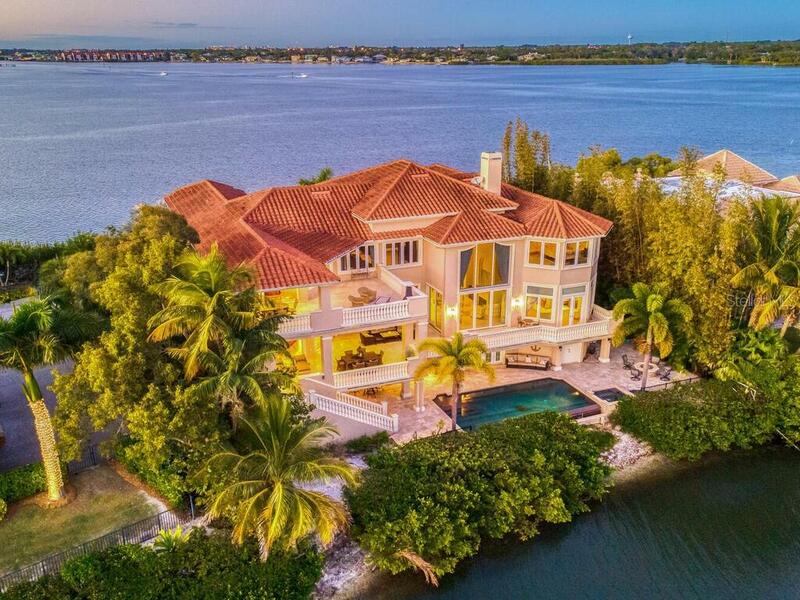 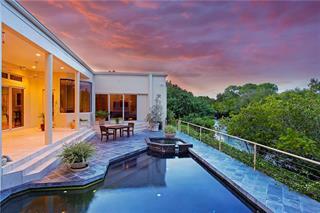 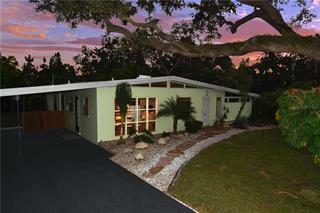 lift, this home is sure to appeal to those who want the best of island living. 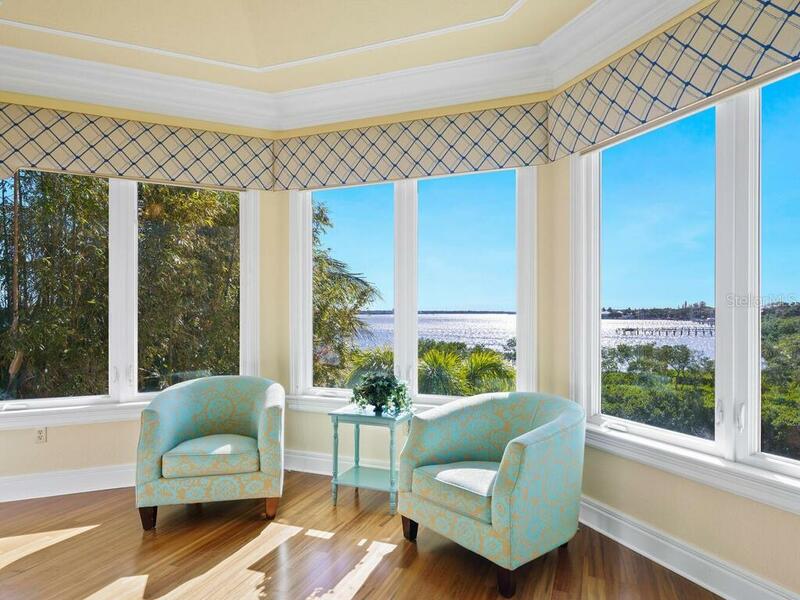 Enjoy panoramic water views from every window, abundant natural light, and comfortable breezes. 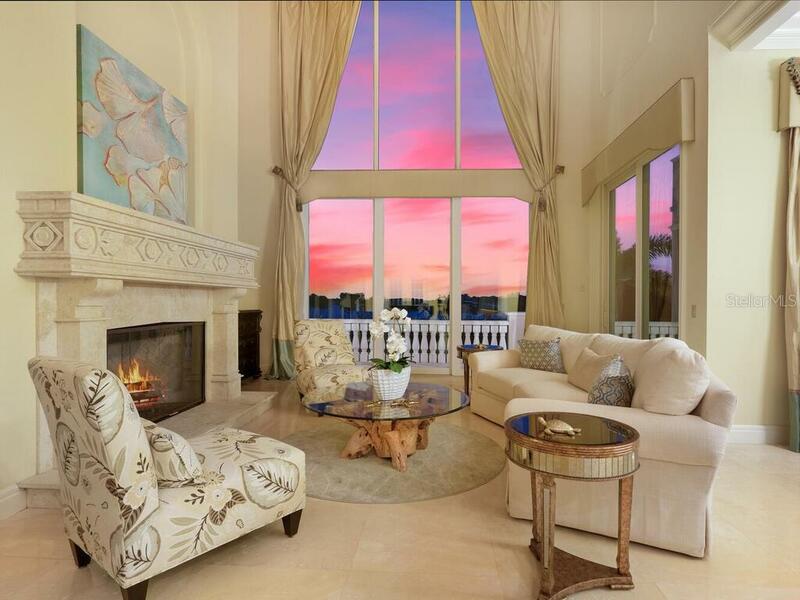 With over 14,000 total sq.ft., home is exquisitely appointed inside and out. 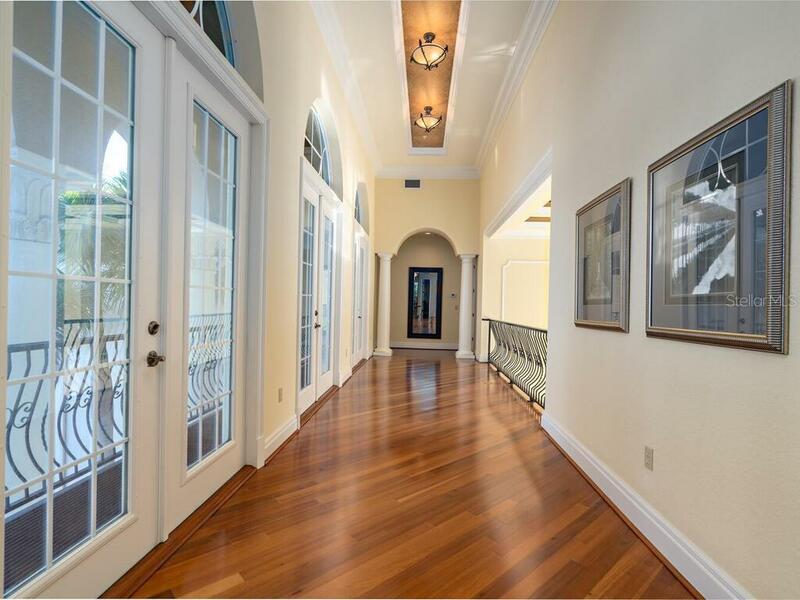 The tall glass entryway boasts breathtaking see-through views to sparkling waters and opens to an impressive two-story gathering area with floor-to-ceiling glass and a fireplace. 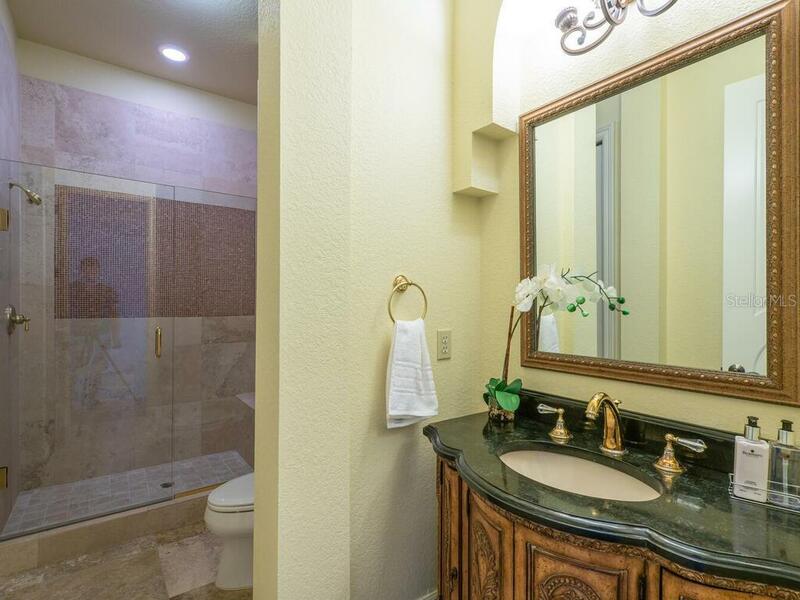 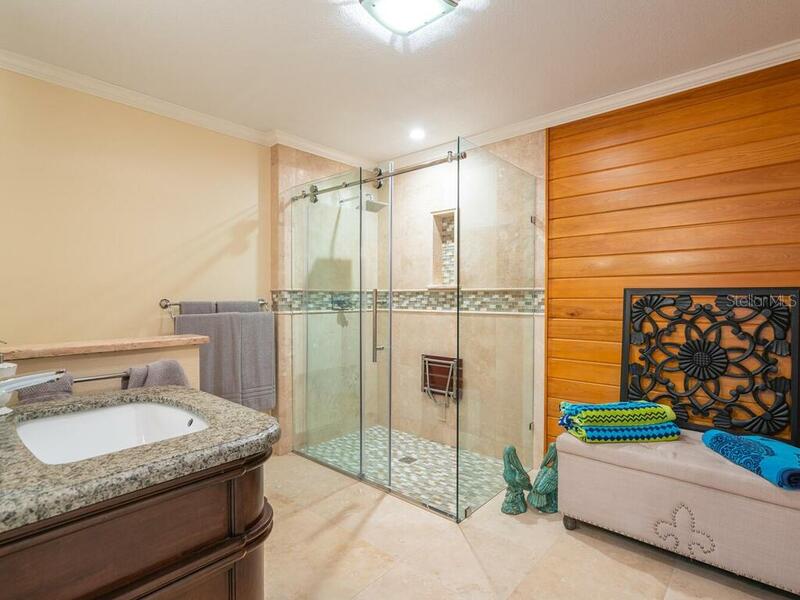 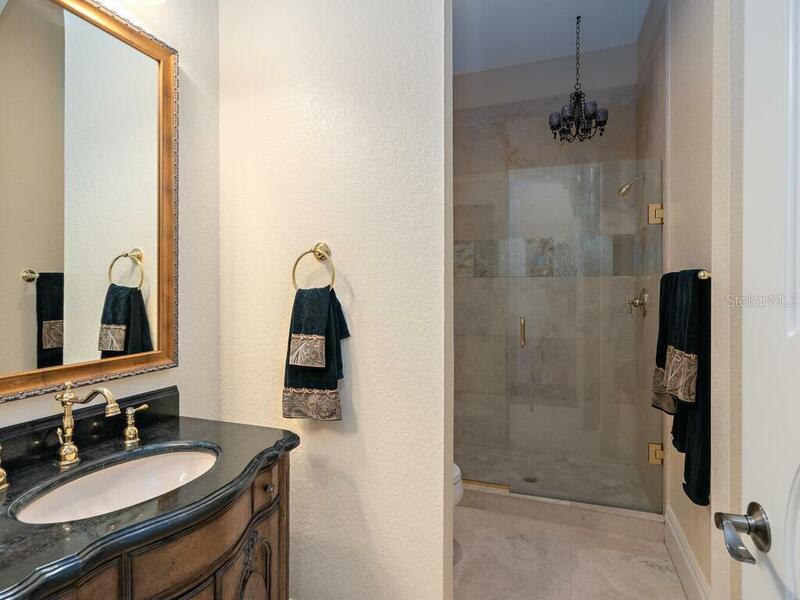 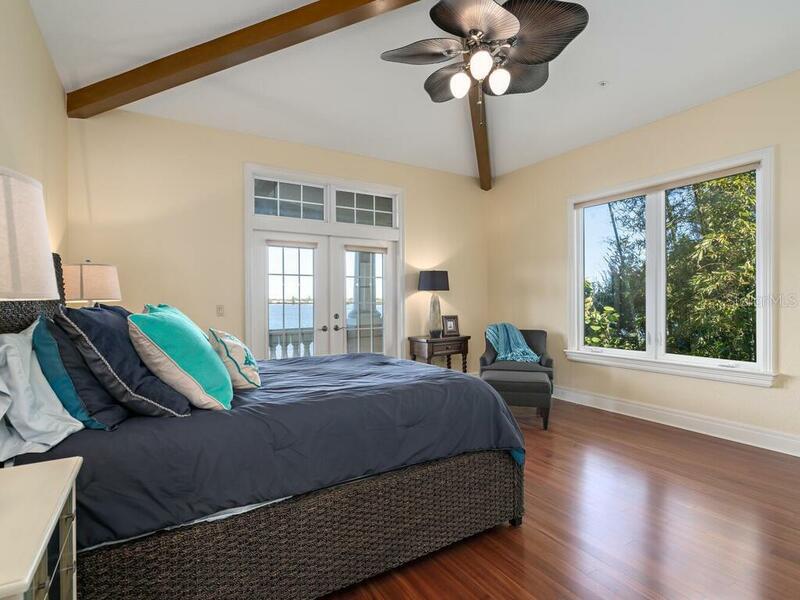 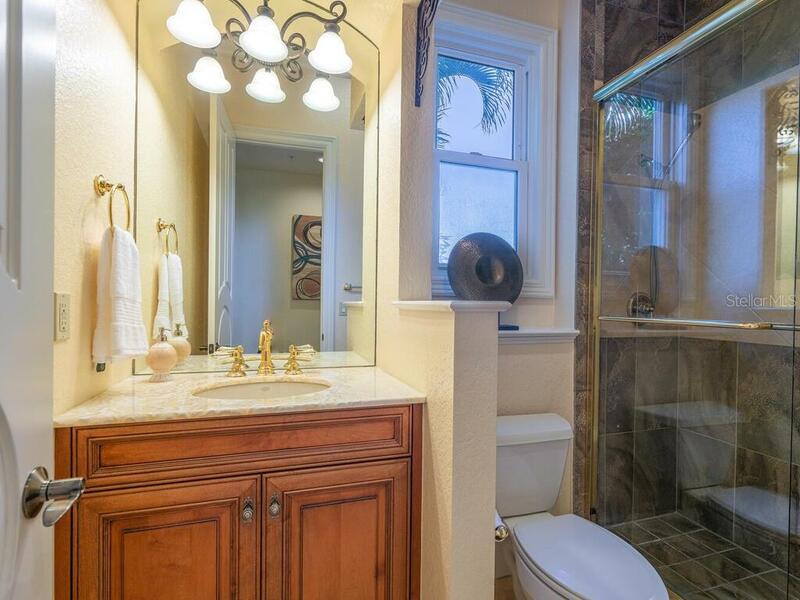 Main floor has master retreat with oversized his and her built-in closets, full coffee bar, and spa-like bath. 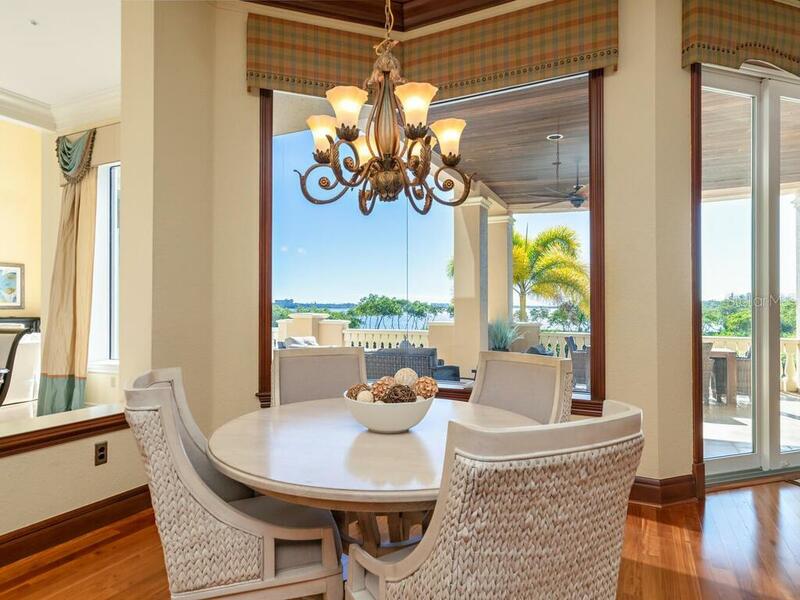 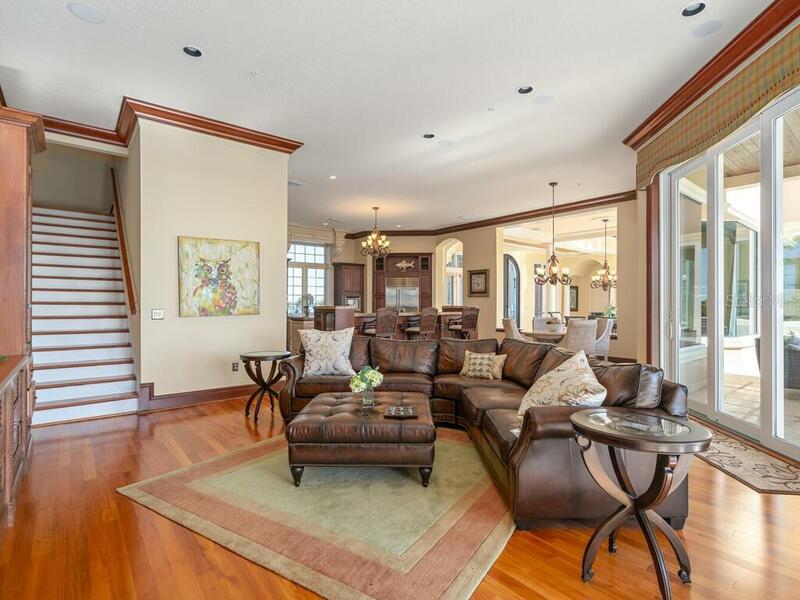 Elegant living and dining areas offer generous space for large gatherings. 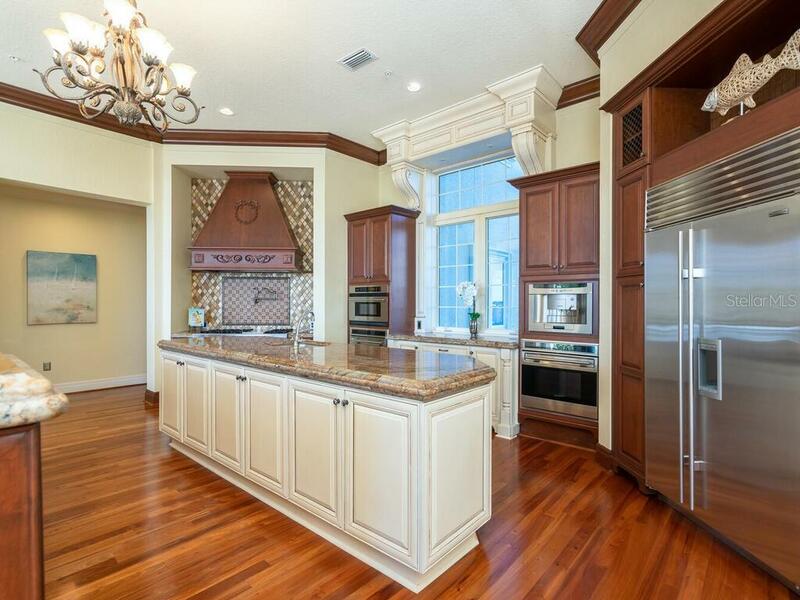 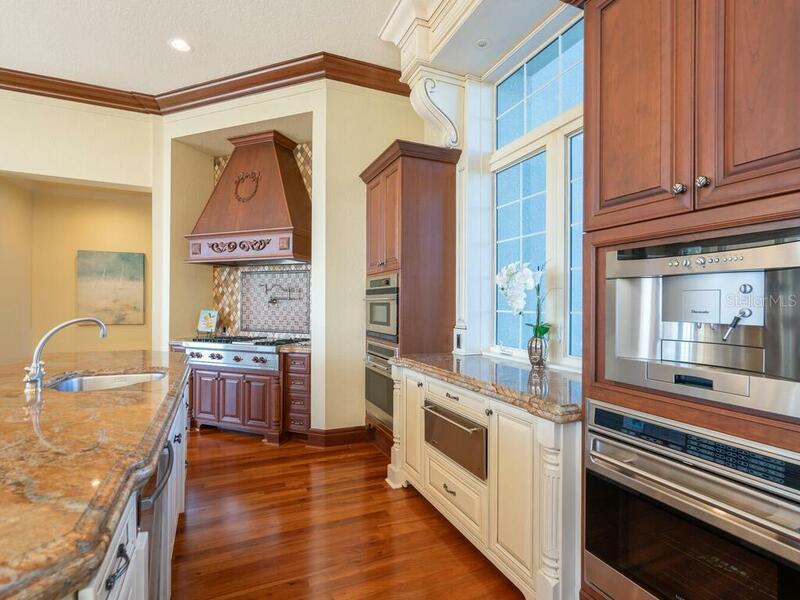 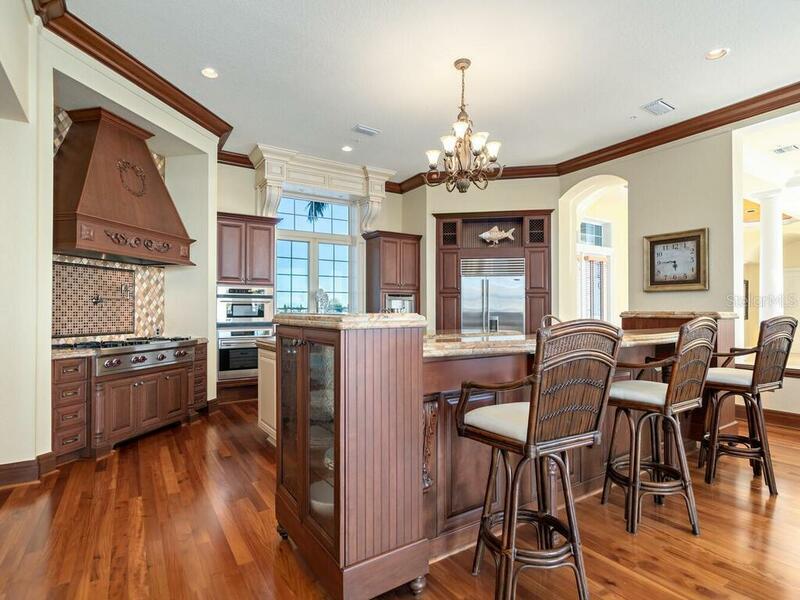 Professional grade kitchen has double islands, every imaginable convenience, and opens to a welcoming family room. 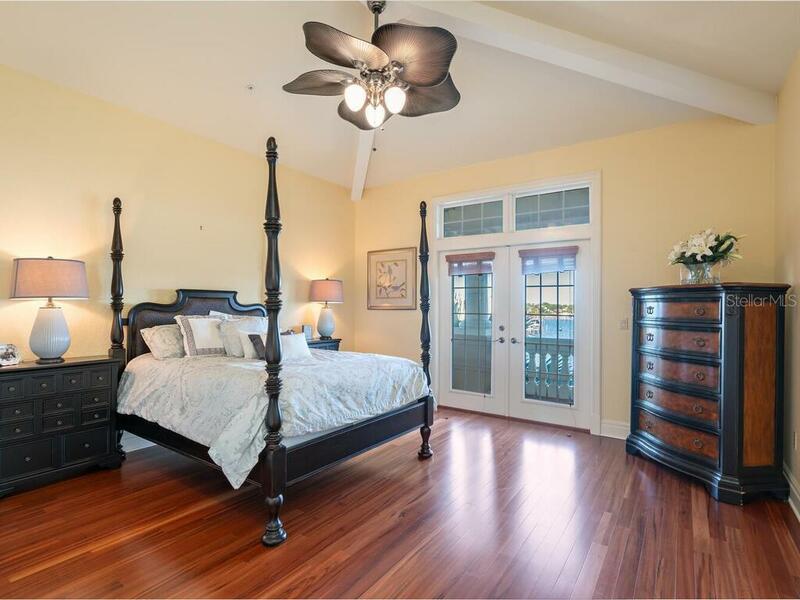 Main level also has one guest suite/office, a powder room, and resort-like terrace. 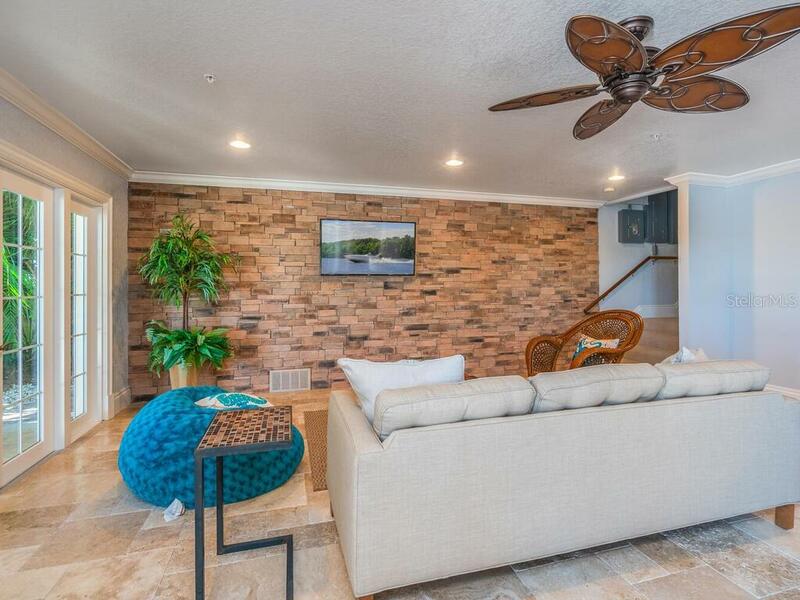 Take the elevator or stairs to upper level for an additional master and two guest suites, billiard room with bar, and theater. 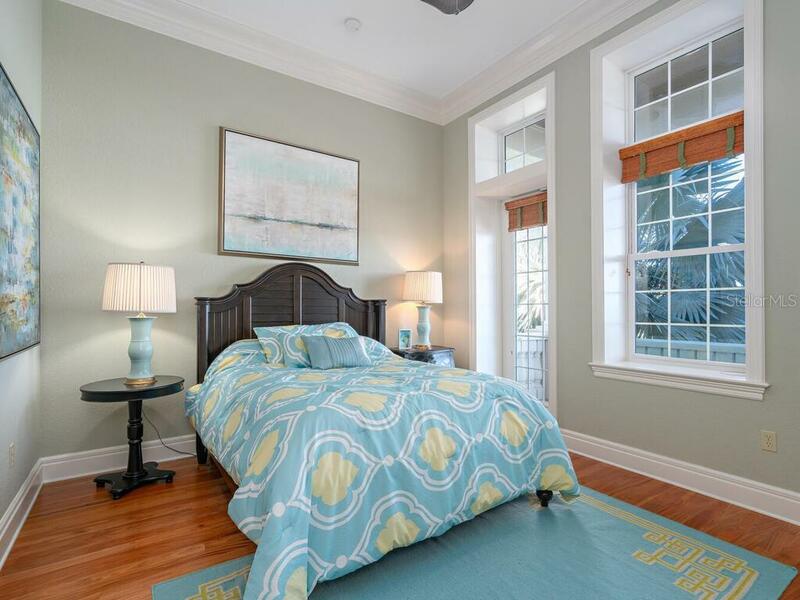 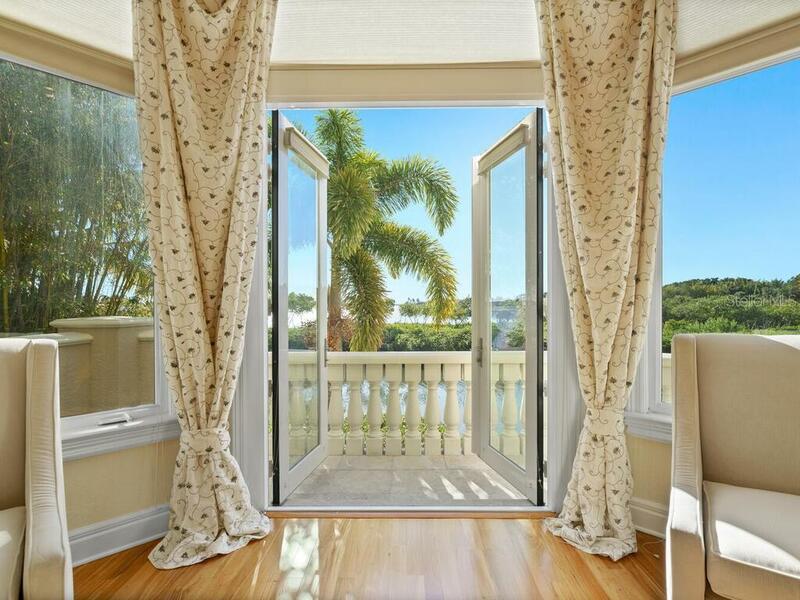 All bedroom suites have French doors to private terraces. 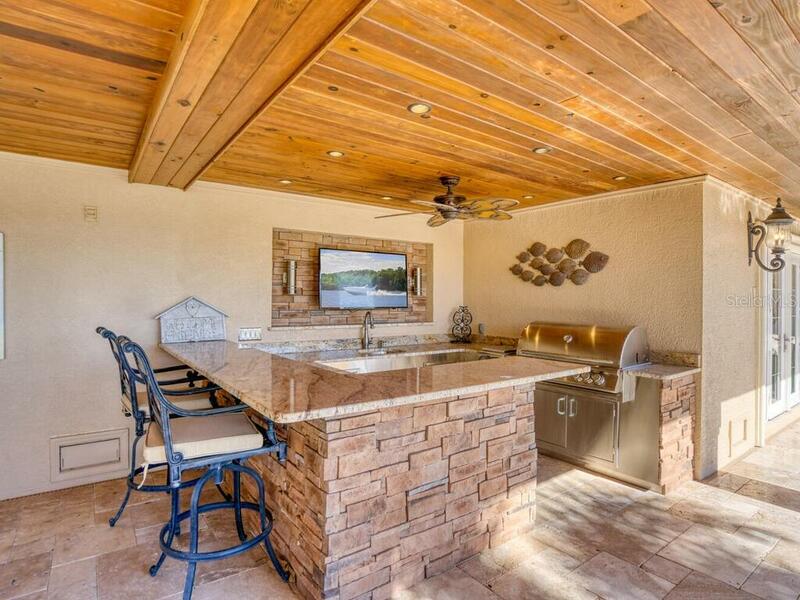 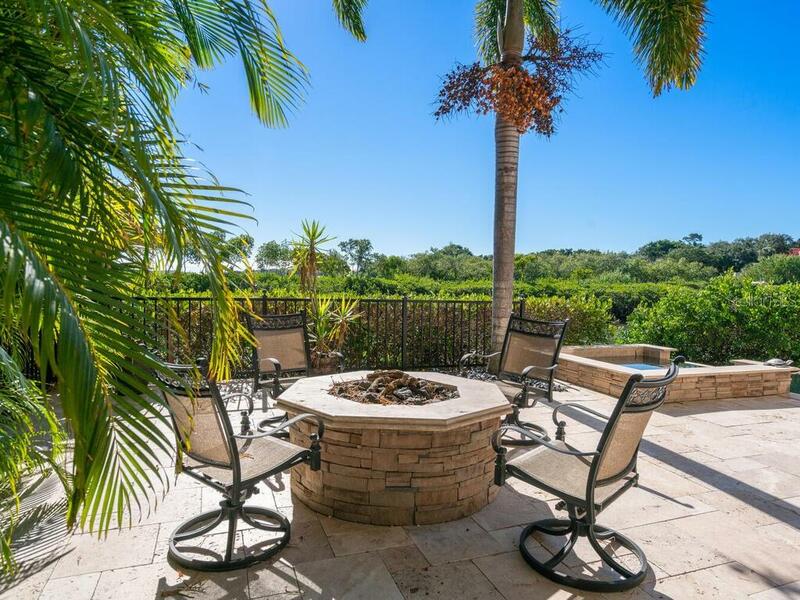 Outdoor living is a dream with upper and lower outdoor kitchens, exquisite travertine decking, infinity edge saltwater pool, fire pit, and two fireplaces. 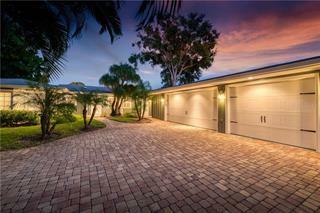 Garage fits six vehicles and has abundant storage space. 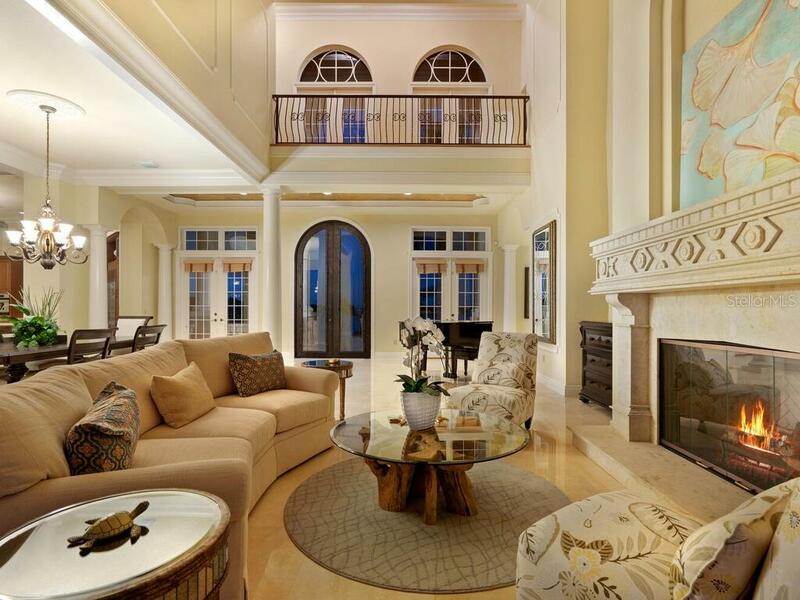 If only the best will do, this home is a jewel and a must-see.